This galvanized 8-strand high-end steel wire rope for marine riser tensioners (MRT) was developed explicitly for high bending cycles in MRT systems. The cost-effective solution! 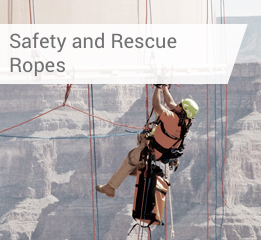 In this application scenario, the ropes run around rope sheaves in adverse conditions and in a continuously loaded state in order to retain the drilling rig in its position.